So, up until very recently I was a serum virgin. To be honest, I thought only old ladies used serums and you only needed to purchase one once you started to show some wrinkles. Wrong! 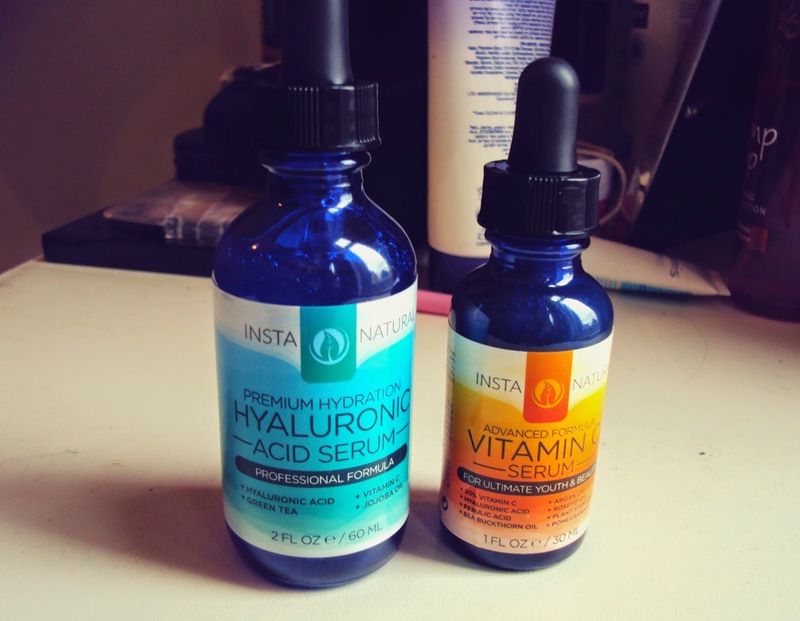 InstaNatural has completely converted me with their advanced Vitamin C youth & beauty formula and their premium hydration Hyaluronic Acid serum, which are now part of my day-to-day skincare routine. So... what even is a serum? As I have learnt, a serum is a beauty product that differentiates from a traditional cream or moisturiser due to its texture and often its ingredients. By rule, it is more fluid and less 'fatty', penetrating the skin much more quickly and setting deeper than a moisturiser. It also acts faster than a lotion and due to its high concentration of active ingredients, is much more effective in treating skin problems, including signs of age (fine lines, wrinkles, age spots etc), dullness, red spots, dark circles, sun spots, discoloration.... Seriously, the list goes on forever! 1 - Start with a clean, fresh face. A serum will stick to anything, including dead skin and dirt, so make sure you cleanse well for maximum absorption. 2 - Apply a toner before use. Some suggest that serums penetrate deeper into damp skin, so apply some alcohol-free toner all over with the help of a cotton pad. 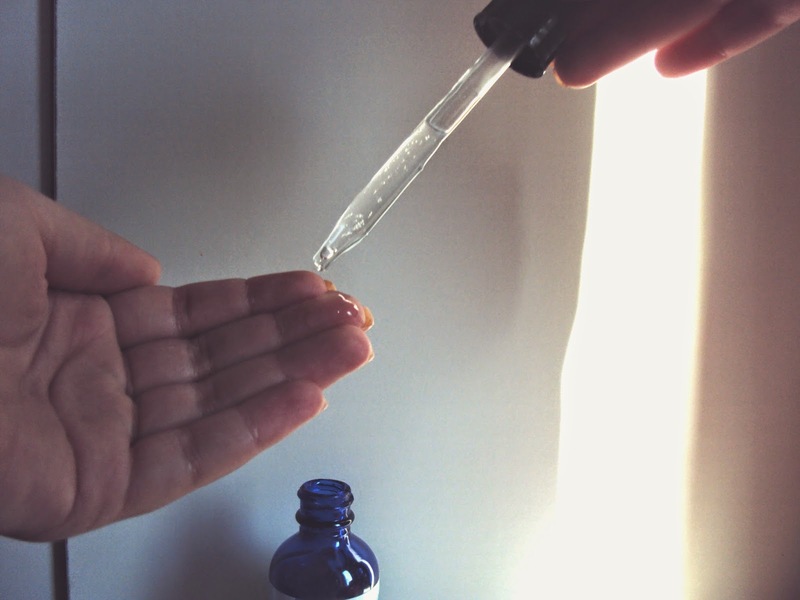 3 - Use just a few drops of serum and use your fingers to apply it all over your face, focusing on the problem areas. As serums are very concentrated, you won't need more than a few drops. A portion the size of a pea is more than enough. Both of my InstaNatural serums cae with a very convenient dropper that instantly measured the right amout of serum to apply. 4 - Wait for your skin to absorb the serum (this should be quick) and then moisturise as usual - you should feel that it sets deeper into your skin. While they help tackle skin issues, serums most often need to be paired with a moisturiser for better results. But don't worry, you don't need to invest in any special product; your usual moisturiser will do just fine. 5 - Now that your skin is prepped, apply your regular makeup routine. Serums are great as a base for makeup as they help smoothen your complexion. 6 - Repeat every morning and evening for better results. This InstaNatural unique formula of all-natural and organic ingredients includes hyaluoronic acid, rosehip oil, sea buckthorn oil, argan oil, plant stem cells, carrot seed oil, pomegrenate, and 20% Vitamin C.
This serum promised to tackle fine lines, wrinkles, sun spots, age spots, & skin discoloration, but I was mostly looking forward to feeding my skin a healthy dose of vitamin C. Vitamin C is supposed to help you achieve a smoother complexion by shrinking visible pores and giving your skin a healthy glow. While I loved the benefits this serum brought for my skin, I was not a great fan of the orange smell it had. I found it a little too strong to use during the day and, besides, it left me with shiny skin, which I don't like as a base for makeup. Because of this, I ended up using this serum only at night, before going to bed. 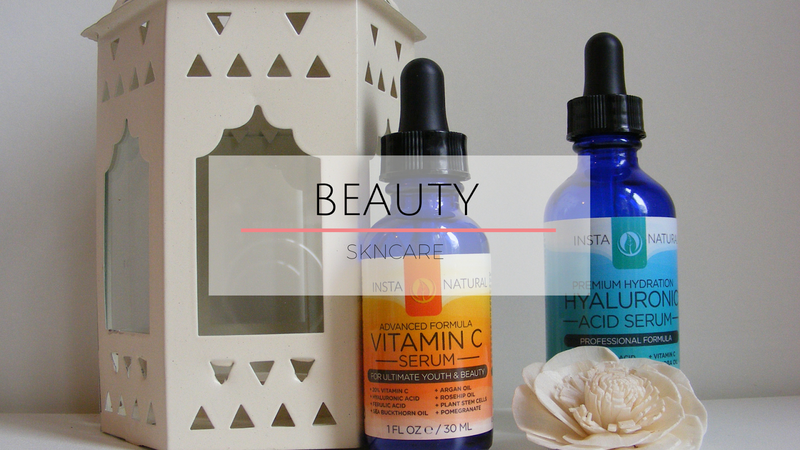 With a vegan formula high in Vitamin C, Vitamin E, and green tea, this is one of IstaNatural's best face serums. Besides delivering anti-aging benefits, this serum helps you achieve a youthful, radiant, and vibrant complexion. As I have a few issues with my complexion, I am immediatelly drawn to any product that promises smoother & more even skin - and I hold high expectations. All of them which were met by this serum. After just a few uses, I could tell that my skin was reacting very positively to it - the dark circles around my eyes weren't as deep, and the skin around my face and neck became silky-smooth. I really enjoy using this product under my makeup, as it allows for my moisturiser to set deeper into my skin, making my makeup spread more evenly, while still protecting my pores. This is the serum that converted me to serums - I will definitely re-purchase it. They're fab, Ruth. You should definitely give them a try!